The humidity left the air this week. It’s gone, for the next five months, leaving my skin thin and papery, so dry it hurts. I hate the tedium of slathering myself with lotion. I don’t do it. Mainly because I haven’t found a lotion that doesn’t smell and doesn’t leave my skin feeling sticky or slimy. (Approaching acceptable is Vanicream.) I need to find something that I like, because every Winter is worse. I used to scorn OLD people for fleeing New York for Florida and complaining about the cold and their knees. I can’t believe I’m one of those people now. I hate the cold, find the concept of leaving New York approaching acceptable, and my knees just don’t bend comfortably anymore, except when in the meditative flow of a yoga class. I had my annual gynecological appointment recently, with a new doctor because my old one didn’t take my new insurance. Besides, after my old ob/gyn teased me for being his only patient who used a diaphragm (because I didn’t like the way I felt on the pill), I decided it was time to find a more holistic woman gynecologist. Even after two children and 30+ years of pelvic exams, I tend to approach the stirrups with an attitude of let’s get this over with as quickly as possible. Instead of taking the opportunity to ask questions and get what I need, I just wanted to get through the appointment. This new doctor is a 50-something woman who is business-like but compassionate. She took one look at me, down there, and said “Aren’t you uncomfortable?” Ummm, not that I’m aware of. Should I be? “Try Replens. Or Neem Oil.” Ummm, okay. I’m not sure what that is but isn’t it for old ladies? Oh, right, I had my last period a year and a half ago. I am officially post-menopausal. Old. Or at least dry. Then came the kicker. “Do you mean to tell me that you’ve survived menopause with just therapy and yoga?” Ummm, yep, that’s it. Therapy and yoga. Oh and don’t forget my austere approach to food that has kept my weight down. 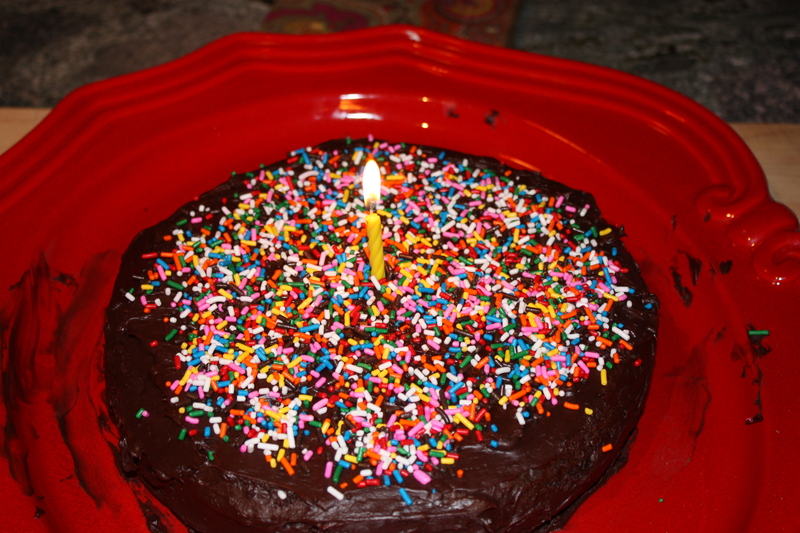 (A lot vegetables and whole grains, very little meat, sugar, fat, alcohol.) Easy! I spent the several years of perimenopause depressed, anxious, sleepless and sad. Weeping in Savasana. Breathing and chanting at 3 am (the chanting was silent in my mind because I am not that kooky but someday I hope to be) because I had woken, in a sweat, to go to the bathroom, again, and couldn’t fall back asleep. I spent about a year taking Benadryl every night because I was so frightened of the prospect of a sleepless night. Worrying about my job, my kids, my husband, my aging parents, my marriage, myself, my future, my kids’ future. Even worry about the future of our planet would grab hold of me at 3 am and not let go. Was I going to be unhappy all my life? And angry? Had I worked this hard just to be a disposable upper-mid-level marketing executive, unsure I even cared about what I was marketing? Was I going to become addicted to sleep medication? What was the meaning of life anyway? You suffer, get old and die. I threw off the Benadryl and threw myself into yoga and therapy, trying to confront my demons. It has not been easy. Now that I am on the other side of menopause, I sleep better and am no longer depressed or overly anxious. The demons are still there, and a few of them remain unconfronted, but my attitude towards them has changed. Now I am free to enjoy the relief of no more periods. No more worrying about getting pregnant. The hot flashes seem to be diminished. (By the way, I know what causes hot flashes for me – a seriously anxious thought. The anxiety must trigger a spike in hormones which then causes the flash. Yoga breathing helps.) And my feet don’t stink any more. (One summer I took a ballet intensive and my teacher would follow me around with a towel wiping the floor because my feet sweat so much.) I no longer have to shave my legs or under my arms. But I do miss my beautiful full eyebrows from when I was younger and am sorry I over-plucked them when I was 16. I threaten my daughter with the prospect of too thin eyebrows for the rest of her life if she dares to touch her beautiful full eyebrows. And, of course, I miss my juicy plump youthful skin. I found myself in the drugstore wandering down the “Feminine” aisle. A hint of embarrassment came over me, a hold-over from when I was 13 and mortified that people would find out that I had my period. Now what? I’m mortified people will find out I don’t have my period? Sure enough, there was half a shelf devoted to “Menopause.” Only half a shelf? There are at least two aisles devoted to nailcare. Don’t we women of a certain age deserve more than half a shelf? I was intrigued by the product that promised to cool you down during hot flashes. It looked like a mini portable fan. Can you imagine? Excuse me while I blow this fan on myself. I spy the Replens and tuck it into my basket. Normally, I would read the label, compare the products, consider my options. But I was in the embarrassing FEMALE aisle. Grab and go. I’ll study it at home. There was another older woman in the aisle. Was I intruding on her self-conscious embarrassment or am I the only one? Why so much embarrassment? No one really talks about menopause. I have friends who still refer to it as “the changes.” Every other television commercial is for Cialis or Viagra. Replens should demand equal air time. Of course there is the stereotype in popular media of the kooky older woman having hot flashes or worse, the hysterical, moody, impulsive angry woman. But you don’t see much about ordinary powerful and beautiful older women launching their children into adulthood, reframing their marriage to be about the marriage and not the kids, and building soul-satisfying encore careers. Now that’s what menopause is about! Grappling with and making peace with the demons from the past while making purposeful and conscious decisions about how to handle the present and move forward into the future. Our 40-something celebrity women (Sandra Bullock? Michelle Obama?) could do a real service by going through “their changes” in a public, honest and growthful way. My periods tapered just as my daughter started hers. This seemed profoundly poetic and symbolic to me. The adolescent passage from girlhood to young womanhood is one bookend connected with the midlife passage from fertility to post-fertility. Both phases of life are extraordinarily challenging. If one can navigate to the next phase with confidence, inner peace, and compassion for self and others, imagine what a creative and interesting time of life it can be! 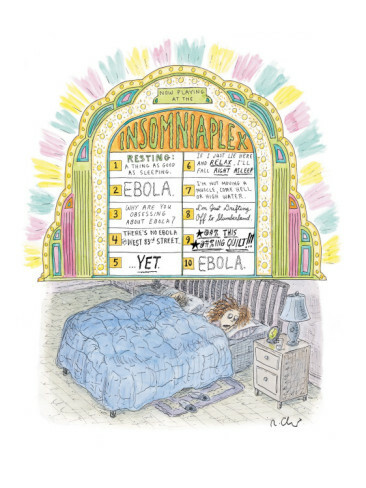 Photo Credit: Insomniaplex, by Roz Chast – published in The New Yorker, July 9, 2001.